For the young dentition, conservative treatments such as teeth whitening and bondings are great options to help enhance a smile. 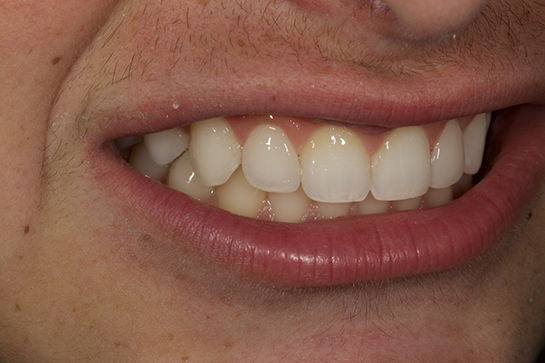 In the case below the patient spent sometime whitening his teeth with the take-home kit we prescribed. 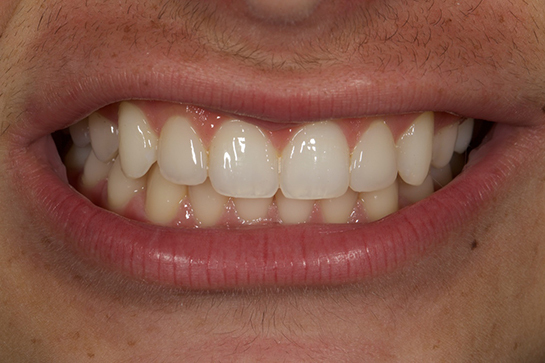 After the teeth have lightened up to a shade where the patient was happy with, we used resin filling materials of various shades to bond to his front teeth. Chips and gaps can easily be filled in without any removal of tooth structure. The “After” smile looks beautiful in person, and at conversational distance it is near impossible to detect where the bondings were placed. Click on the photos below to see the transition.